Ackerman, the Loire's largest locally négociant, has continued its policy of expansion in the Loire Valley buying the 36-hectare vineyard of Jean-Paul Couamais in Vernou (Vouvray). Founded in 1971 Couamais is the 4th largest producer in Vouvray in terms of volume – preceded by the Cave Coop of Vouvray (part of Alliance Loire – shareholders in Ackerman), Grands Chais de France and Château Moncontour. Couamais has a turnover of 2€ million. At the end of last year Ackerman bought two domaines from Pressoirs de France: Bénastré in Montreuil-Bellay and Le Moulin in Le Puy Notre Dame with a total of 115 hectares. Earlier in 2014 Ackerman bought Les Celliers du Prieuré/Valentin Fleur in Saint-Georges-sur-Loire (Anjou) run by Michel Fleur. The company had a turnover of 14€ million. 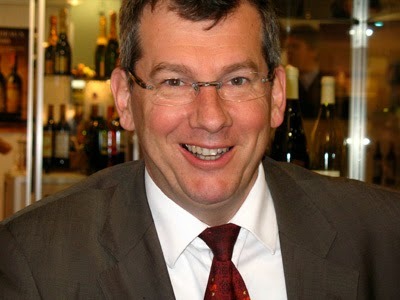 Ackerman bought Donatien-Bahuaud (Pays Nantais) in 2009 followed by Monmousseau (Montrichard, Loir-et-Cher) in 2010. From the accounts to 31.12.2013 Ackerman had a turnover of 50.5€ million with exports accounting for 15.3€ million. This is well ahead of other significant Loire négociants still in local hands – Pierre Chainier SAS (based in Amboise) – 17.5€ million (2013), 19.6€ (2012) and Bougrier 15.9€ million (2011). I have excluded Grands Chais de France and Castel here as their ownership lies outside the Loire.